We have more than 27 YEARS of experience in this field. We know what you want. SGI recycling systems are mainly used in the metal powder producing industry where large amounts of inert gases (500 - 5000 m3/h) are necessary for the atomization of metal. In principle the gas which is used for powder atomization is recirculated in a closed loop. 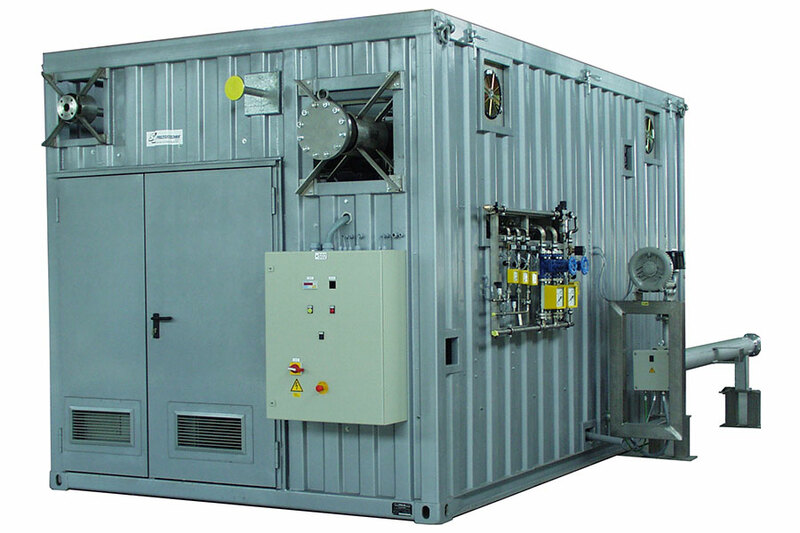 The gas pressure necessary for the atomization process is generated by a compressor. The selected type of compressor depends on the required flow and final pressure. Anyway the machine used is an oil-free piston or screw compressor. Having passed the atomization tower the hot gas is separated from powder in the cyclon, then it is cooled down. Remaining particles will be separated in a cyclon filter and in a fine filter. The cleaning of the filter bags is done automatically during the atomization cycle acc. to the counterflow principle with atomization gas from the recycling circuit. After the filter line the gas is sucked off by the compressor and recompressed again to the necessary final atomization pressure. When the atomization is finished the recirculation system is separated from the atomization tower by valves, so that the gas remains within the recirculation system and is not contaminated. Gas losses, as well as purge volumes, initial filling and emergency supply of the system are controlled by a liquid gas tank and evaporator. The principle idea of a gas recycling system is to reduce the cost for the consumed gas used for the atomization. It is possible to minimize the atomization gas consumption by recirculation and as well the amount of purge gas can be reduced when the equipment is evacuated instead of purged. The necessary gas pressure and the required gas quantity for the atomization are the key figures for the design of such a system. A pay-back time between appr. 1 to 3 years is realistic. 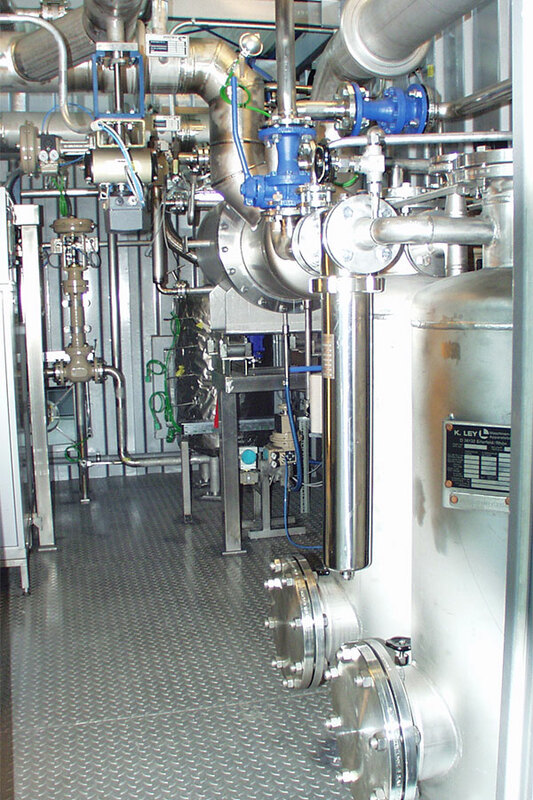 The process control is carried out with computer controlled equipment and process visualisation. Emergency supply units guarantee to keep up an emergency operation in case of power failure. Before start of an atomization process the gas within the atomization tower may have residual impurities due to insufficient purging processes or after plant maintenance. Although the molten metal getters all these impurities at the start of the process SGI can deliver gas purification systems to clean the gases within the system which allows to considerably reduce the costs of operating such plants. The most frequently-used protective gases are the inert gases argon/helium and nitrogen. Quality or the protective effect of a gas are decisively influenced by the degree of undesirable substances like O2 , H2O, CO2 in the vapour or gas phase that attack the material, for example, through oxidation or corrosion, or form undesirable deposits on the material. On the basis of experience in the fields of metallurgy, SGI is able to design and build such gas purification systems which are connected to the atomization plant and are an integral part of the recycling systems. By means of special catalyst as well as adsorption materials the gases can be purified to a certain extend which allows the re- use of these gases in closed loops. Piping and fittings, flanges, bolts and gaskets, compensators.